Conceived in 2000 by Robert Studer as he flew from Tokyo to Vancouver. 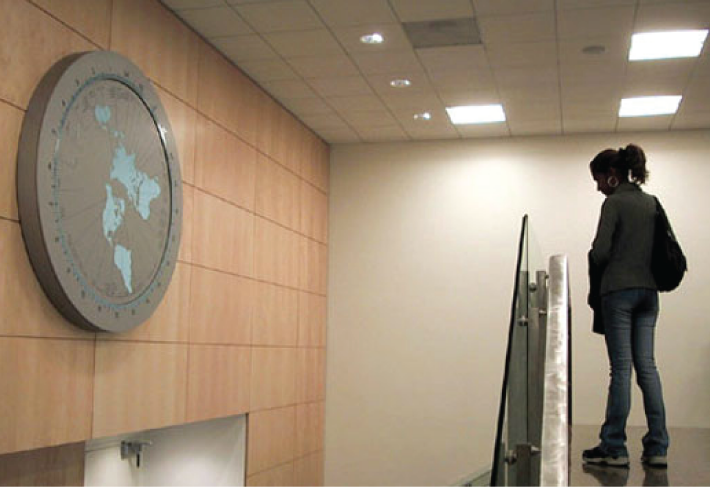 This journey had him arrive one hour before he had left and inspired him to create a clock that told time around the world. 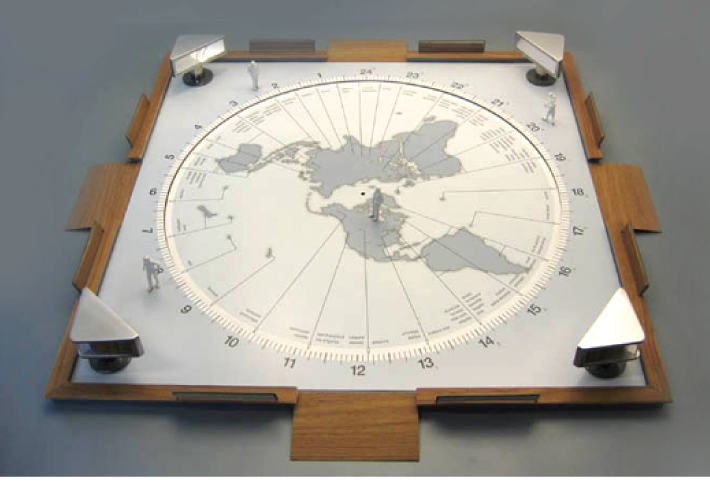 A world map rotates once every 24 hours, mimicking the earth’s rotation. 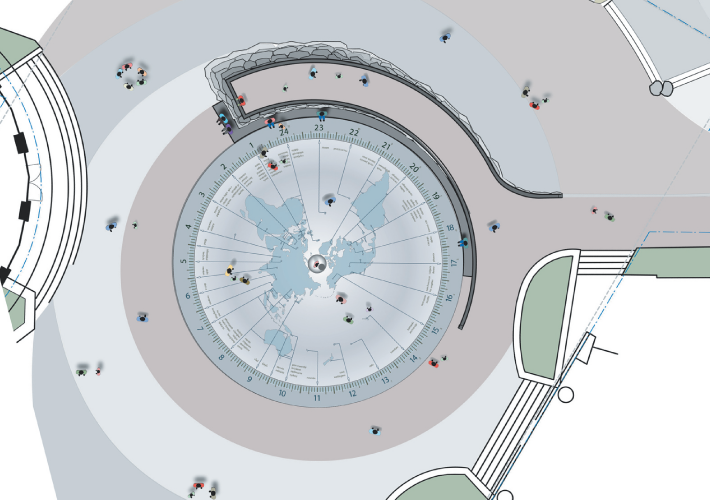 Cities are graphically connected to their respective time zones and point to the correct time on the outer time ring. Various models were designed and sold. Larger conceptual proposals were developed for a plaza in Whistler for the 2010 Olympics and also for Milan, that was displayed at the Triennale di Milano in 2003. WORLDCLOCK plaza. This plaza was designed to welcome all to Vancouver and Whistler for the 2010 Olympics – a gathering place for all nations to share in their similarities. The electronic billboards post results from the sporting competitions and events, as well as post text messages by individuals from around the world via smart phone technologies. WORLDCLOCK 2001. 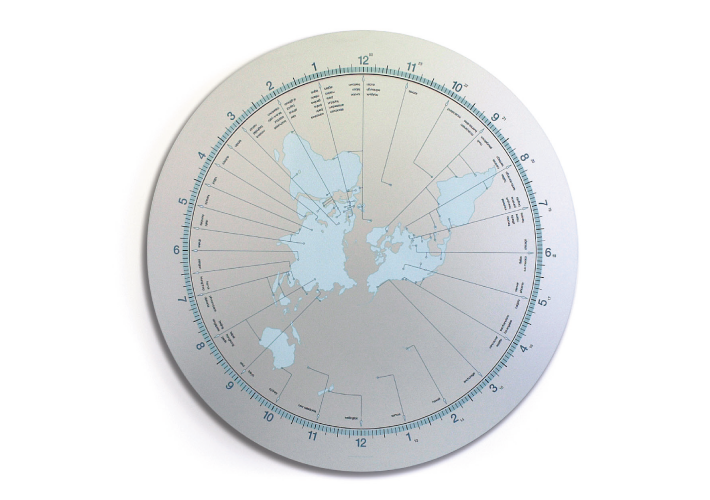 Its 4 foot diameter clock face is constructed in aluminium. Its limited production attracted international attention, finding its place in hotels, corporate and private offices and several homes. WORLDCLOCK 2002. Designed for a larger consumer market. Wall or table mounted. 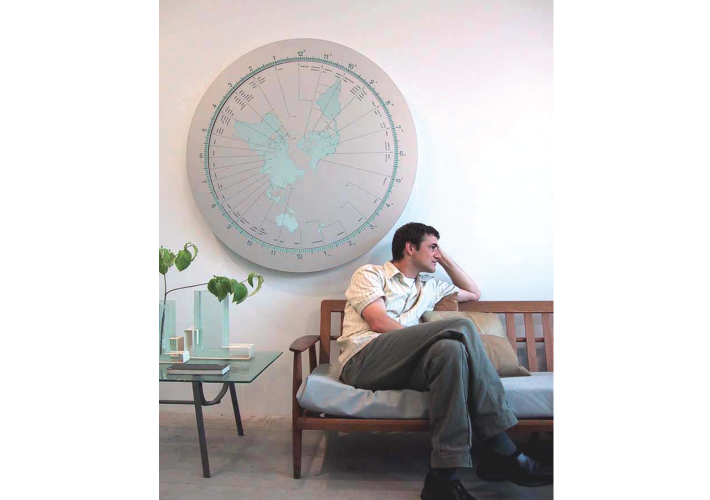 WORLDCLOCK 2003. 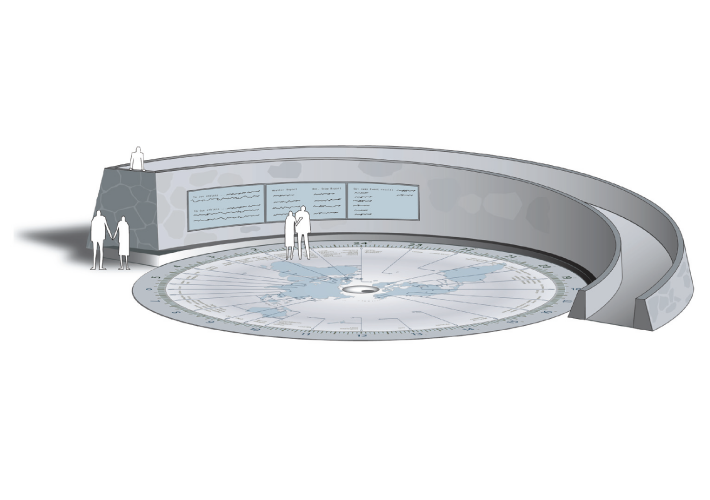 This six foot diameter version was commissioned by a private school in New York to introduce a broader concept of time and community to their students.